The Applied Training and Consulting Group (ATCG) was founded on the promise to deliver inter-active learning experiences to better ensure knowledge retention and increase individual learning by offering a practical learning experience. ATCG offers client-centered training, tailored for specific markets or industries. ATCG continuously receives glowing remarks about the interactive, hands-on exercises, participant teach-back and role playing that are part of the training events. ATCG collaborates and contracts with other high-performing professionals to ensure that the best services are offered. Based on her observation, Dr. Brown found that very often, training participants leave workshops, and never utilize the materials or tools they learned in the training session. Unfortunately, there is often no follow-up to verify lessons learned. Having witnessed non-productive company spending, ATCG's offers a unique 90-day follow-up component to measure participant learning experiences and assess how they are applying that learning to their job performance. This component not only helps companies identify an employee's unrealized potential, but the overall learning experience will have a direct impact on productivity. Applied Training and Consulting Group (ATCG) was formed in 2008 as a limited liability company by Dr. Patricia Brown, who has worked in the addiction and behavior management industry for over 25 years, which provides her competitive advantage. Dr. Brown’s expertise is in developing and facilitating organizational change through coaching, training and creating knowledge based organizations. In addition to a Doctorate in Business Administration, Dr. Brown holds state and national certifications in addiction counseling. She also a holds certification in clinical supervision which she uses to provide oversight and assist potential counselors prepare for state or national counselor exams. 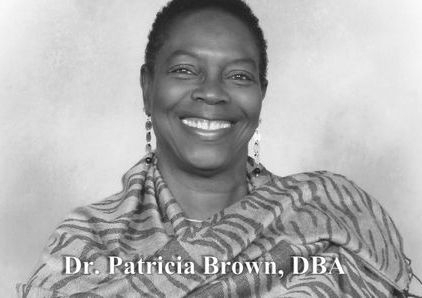 Dr. Brown is experienced in concept development and grant writing with successful grant awards from foundations, corporations, state and federal government grants. In addition to talent development, Dr. Brown aspires to support small organizations in their development, as well as guide them through the competitive markets for success.